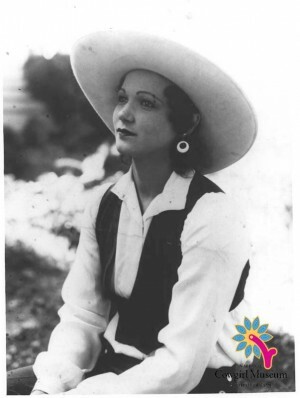 For more than sixteen years during the 1930s and 1940s, Marie crisscrossed the country as a trick rider, steer wrestler, bronc rider and performer in rodeos, circuses and Wild West shows. She began her career as a trick rider with the 101 Ranch Show at fifteen. An innovative rider, she soon became a rodeo star, receiving billing with Gene Autry, Tad Lucas and Alice Sisty. Marie is considered a trailblazer for women in steer wrestling.